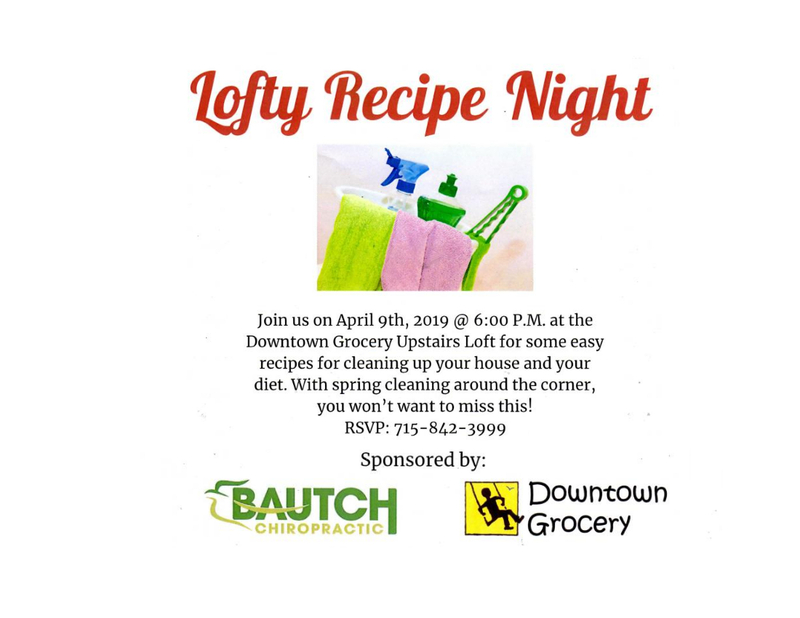 Free Event: Join us for a LOFTY RECIPE NIGHT on Tuesday, April 9, 2019, @ 6:00 PM in the Upstairs Loft at Downtown Grocery for a free talk on cleaning up your house and our diet in association with Bautch Chiropractic. Please RSVP by calling (715) 842-3999 at Bautch Chiropractic to indicate that you’re planning to attend. It’s a Free Event — come learn about making fun and nutritous meals at home from Bautch Chiropractic, and find those unique ingredients at Downtown Grocery.